Similar to your car, a little preventative PC maintenance can help your computer last longer and perform better. There are two simple things you can do once a month that will help your computer run better, scandisk and defrag. Scandisk is a built-in Windows utility used to check your hard drive for errors and to correct problems that are found. 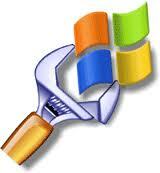 These errors occur most often when Windows locks up and must be restarted. Think back to old vinyl records. If you are not old enough, ask someone that remembers record players and records. There were times when a vinyl record would get a scratch on it and the song would skip where the scratch was. The inside of your hard drive is very similar to a record player. There is an arm that hovers right above the spinning metal platters (disks) inside your hard drive. The arm reads the data off of the hard drive, but should NEVER actually touch the hard drive platters. There are times (due to a power failure, bumping or dropping the computer while it is running) when the platters in the hard drive gets scratched when the arm comes in contact with the platters. Files are stored in clusters. Cluster are like virtual holding places or folders. If you have data (files) in a cluster that has a scratch, the computer may not be able to read the file or will run slower. Scandisk looks for problems like this, moves files to good clusters and then marks the bad cluster as such so it will not be used again. Your computer tries to always stores files (based on size and relationship) in a nice and neat orderly fashion. Over time as you use your computer and make changes to files, your computer has to store files in clusters where they fit better. So as your files grow, your computer may have several different parts of the same file stored all over the hard drive of your computer, this is called fragmentation. Your computer will run slower since it has to go and hunt for various parts of a single file and put them together so it can load the file. Defrag finds and analyzes all of your files and puts them back in nice and neat order…close together. Now your computer will run faster because it does not have to go traipsing all over your hard drive to find fragments of files. Note: You are shown two methods to run scandisk. Stick with method number one…much easier. BIG TIP: Always reboot your computer after defrag finishes.